Project management software is a necessity for organizations of all sizes. 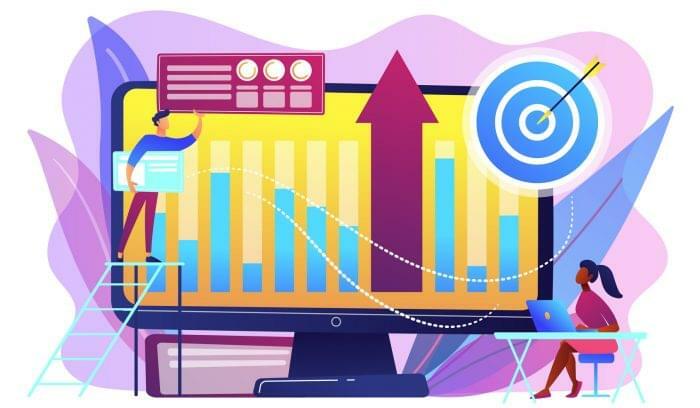 Widespread adoption across businesses in every industry is driving user demand for new features and capabilities that match specific organizational needs. 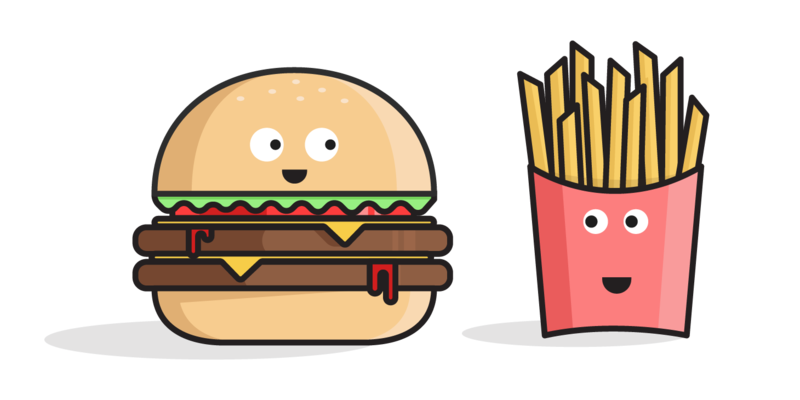 Every user and team is different, but platforms that try to address every need for every user become bloated. 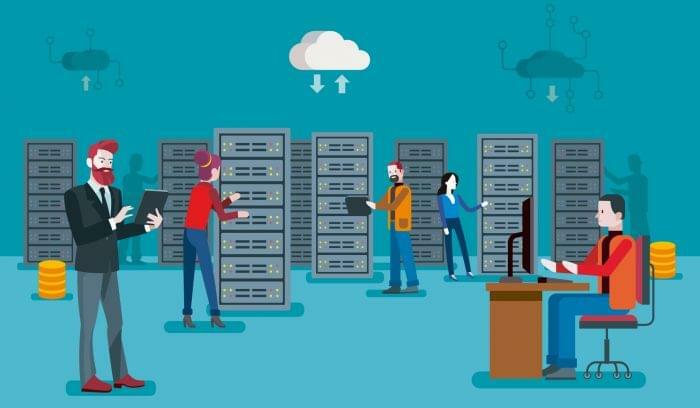 Smart vendors will try to make their software products more malleable to the processes, workflow quirks, and requirements of users through out-of-the-box customization options. Targetprocess is a web-based visual tool for managing projects, project portfolios, and Agile teams. Its claim to fame is its visual approach to project management, but users frequently praise its many different options for customization. The tool offers flexibility at various levels. Company-wide: you can create custom company-wide workflows and processes. There’s full, out-of-the-box support for Scrum and Kanban, but you can also customize these processes to follow your preferred management approach. Team level: Even within the same project, different teams can have their own workflows and use their preferred “flavor” of Scrum or Kanban. Targetprocess supports the work of both cross-functional and functional teams. User-level: Employees can create their own personal interface, tailored to their organizational or project roles. Targetprocess was built with the intention of being adaptable. The different ways to view information can help users spot patterns that weren’t apparent before. Their support team is very responsive, and the product is completely integrated with Vizydrop, a visual reporting tool. The company also just released a service desk request portal, which is free for all users. This is not a lightweight solution. There are so many customizations and different ways to personalize Targetprocess that the software has a bit of a learning curve for inexperienced users. Once you get used to it, the functionality is fairly intuitive, thanks to the visual interface and features like drag-and-drop, but it can be initially difficult for non-technical users to master. Targetprocess is free to try for an unlimited number of users and an unlimited amount of time for up to 1,000 entities (work items). 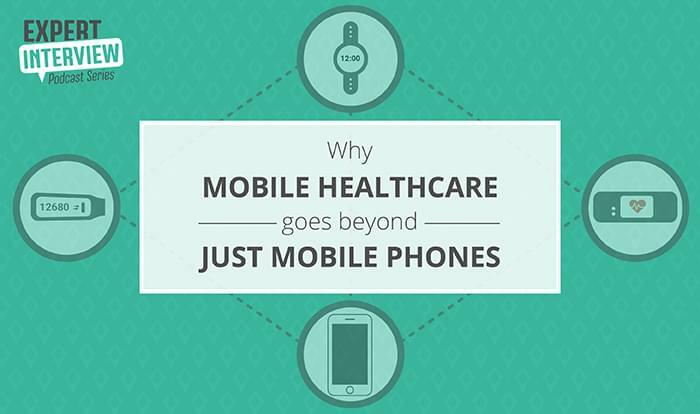 The pricing for paid plans (which includes greater functionality and more support than the free version) can be changed to match optimal user needs. An onsite/private cloud version is also available. 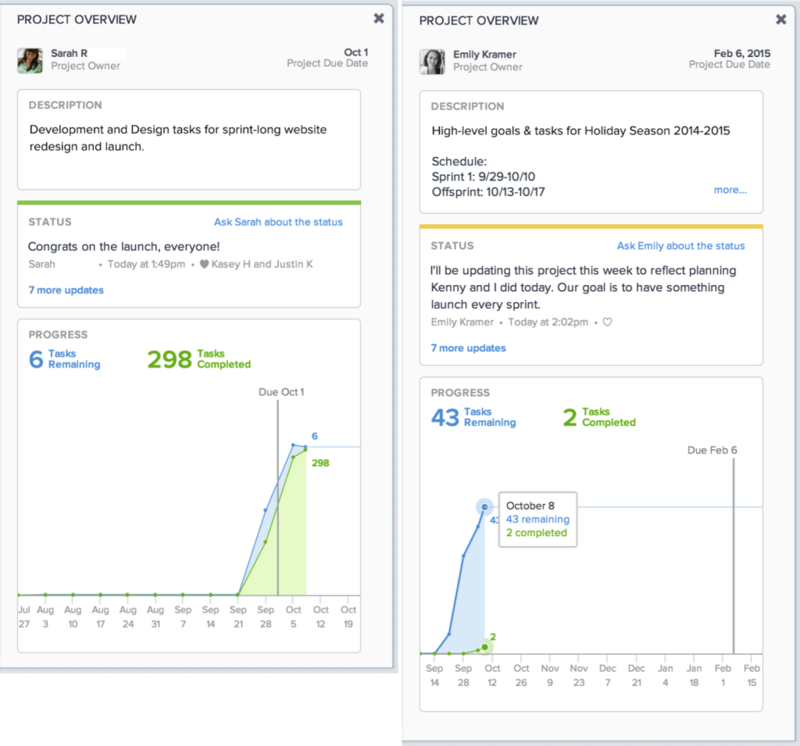 Asana is a web-based collaboration tool that was designed to help teams track their work. Many of the options for customization are available from the tool’s “Sections” feature, where you can organize tasks and create categories, workflow stages, and priorities. Every individual can customize their own dashboards to provide easy access to information that’s relevant. You can share these dashboards with teammates by copying the URL. There are several pre-made templates made for specific activities (such as marketing) which are available to users. These templates can also be created from scratch. You can customize reports and progress charts to get visibility into momentum, progress, velocity, scope change, and custom information. The open nature of Asana makes it easy to use for different departments and processes in the same organization. There are also plenty of extensions and integrations, as well as an API for writing your own integrations. You can set permissions for who can see and access projects, reports, and teams. Workspaces are a very convenient way to set up collaboration. They create a lot of possibilities for customizing projects and teams that aren’t always available in some other tools. Asana is also continually evolving; its recent design overhaul gave the tool a very impressive makeover. There are a growing number of integrations, and the tool’s documentation is quite thorough. Asana is an excellent tool for task management, but less powerful when applied to other areas (such as planning and budget management). Heavy users sometimes complain that the notifications center is too incessant, negating its intended function as a replacement for email. Additionally, Asana’s structure is somewhat rigid, which reduces your options for customizing the interface. Visualization of tasks and subtasks feels a bit cluttered at times, and could be improved. Asana is free for teams of up to 15 members. Customizable paid plans are available for functionality upgrades and larger teams. 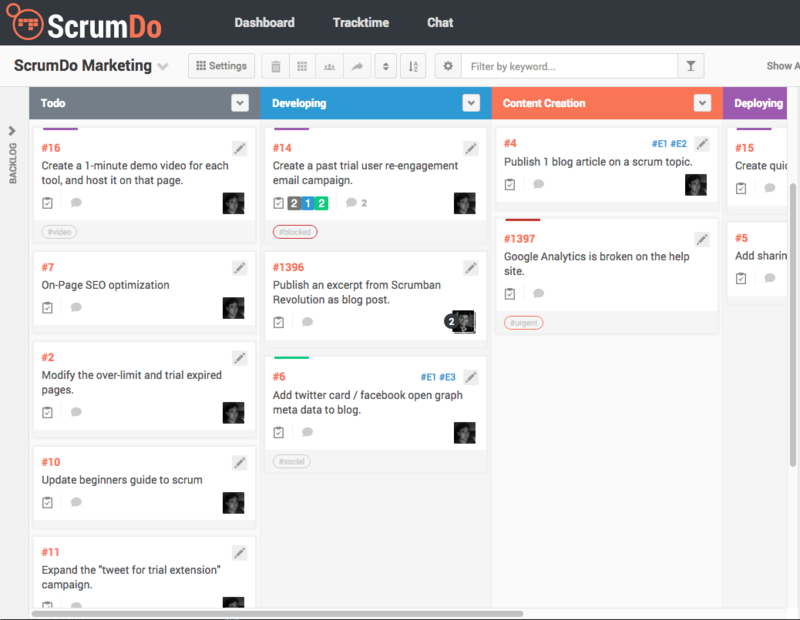 ScrumDo is a visual tool that is primarily used for managing work items. 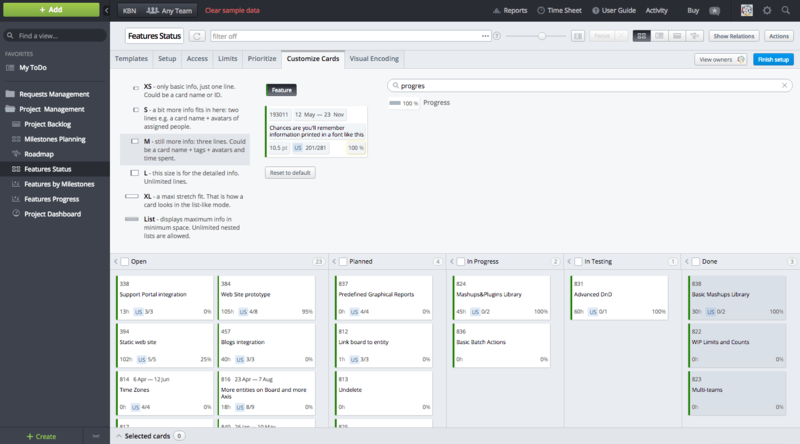 Its power for Scrum and Scrumban teams is impressive, and it has some beautiful boards with lots of options to customize workflows, reports, and cards. You can save templates of these customizations for future projects if you have any frequently used cards or repeating workflows with quirks that must be observed. You can add custom fields to project settings to help make your project match your workflow. Prioritizations are managed from a comparison chart. This chart uses a system that takes data on time/effort and business value and converts it to points to show which tasks are the most valuable to complete. The chart is very useful, but it’s worth noting that there are currently no custom fields for organizations that might wish to compare several aspects a project or prioritize according to unique factors. Another cool feature is the ability to draw your board on a grid; you can visualize almost any board and easily manipulate things like color and size. The ability to customize the information displayed on boards and cards can help the user get a quick overview of details which are important to them (with the option to drill down for more). ScrumDo excels in Agile project management. The ability to draw your own boards is very handy, and the tool’s budget management capabilities are also impressive. There’s also clear visibility into team workloads, and it’s easy to move user stories between different sprints (they call sprints iterations). Overall, it’s a balanced tool. Some of the of the customization options could feel a little close-ended for non-Scrum teams, or even for a Scrum team with unique workflows. For example: the process for prioritization lacks in-depth options for prioritizing against anything other than effort and business value. There are also no role-based permissions or Gantt charts available, and its built-in reporting capabilities could use improvement. Pricing: ScrumDo’s pricing model starts with a free trial and then moves on to paid subscriptions with the option for monthly or annual billing. What would a project management list be without Trello? Trello is a management and collaboration tool that’s been made popular by its aesthetically-pleasing interface. They were recently acquired by Atlassian, but users have been assured that the product will remain independent from JIRA. You can view your projects on boards to make large amounts of work more manageable. Users can create custom boards and lists from templates and then tweak them accordingly. 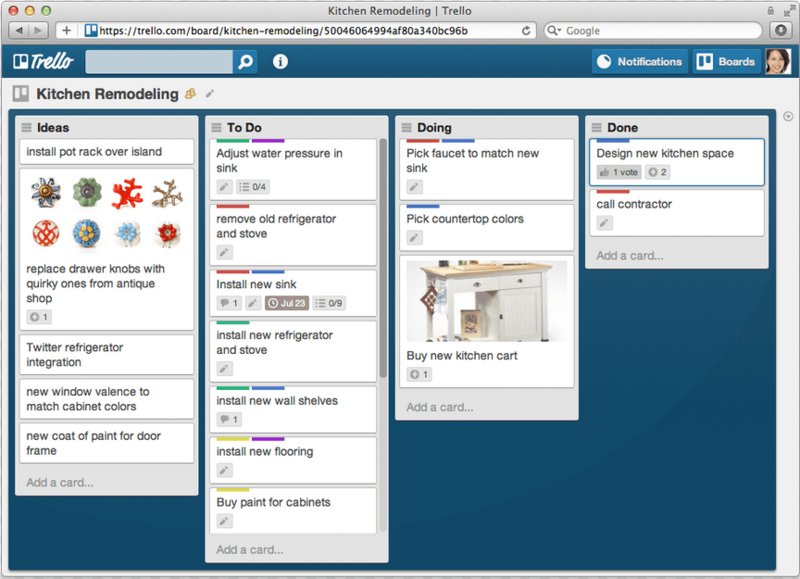 Trello utilizes a Kanban-style approach with customizable boards, lists, and cards. You can use labels to categorize cards by type, reorganize lists with drag-and-drop, and customize the background of boards. Trello already integrates with a bunch of useful tools, but it also includes an API for integration with other applications. The Zapier integration can save specifications of repeating tasks for future projects (a useful feature for teams with repeating workflows). Everything is easier with Trello. It’s visually aesthetic, easy to get started with, and can be used for a wide variety of needs. The UI is fairly intuitive, and there’s a lot of little features you can use to make the tool “yours.” You can use it for your team projects, or to plan a vacation — there’s dozens of different use-cases examples available as inspiration. Trello is often called a lightweight tool. 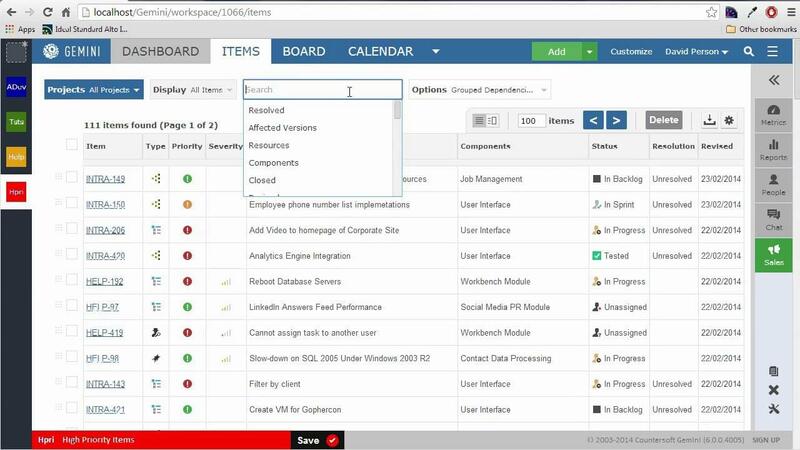 It’s great for viewing all your information on one board, but it can’t give clear visibility across projects and teams. It’s also difficult to customize the information that’s displayed on cards and then drill-down for details. Additionally, there’s no easy to way to link high-level strategy items to cards in the backlog. Because of this, some organizations might feel they have outgrown Trello as their PM needs expand. Trello has always been free, but it has also released three paid plans called Trello Gold, Trello Business Class, and Trello Enterprise. These versions have better support and improved functionality for a monthly fee. You can get free months of Trello Gold by getting new users to sign up for the free version. 5pm is a web-based project management solution that aims to help users to “get more done by 5 p.m.” The user interface is uncomplicated and open for customization. Custom fields and labels can also be applied to projects, and several filters are available for viewing important information. Most users agree that the easy-to-use UI is its greatest strength, because it makes everything more accessible. Most information can be conveniently accessed with just a few clicks, and important details like task dependencies are highly visible. You can create custom reports or use the helpful pre-made report templates. 5pm can integrate with your email and a few other applications and has an API for making your own integrations. There are basic built-in time-tracking capabilities, and you can also download a free widget for manual time-logging. 5pm also supports over two dozen languages, something which will be increasingly valuable for international companies. 5pm’s user interface and product support are above average. The open nature of its customizations means the software can scale with companies through organizational growth. It is considered a leader among PM solutions for task management, and has a user-friendly mobile app. The ability to create and customize your own reports is also noteworthy. 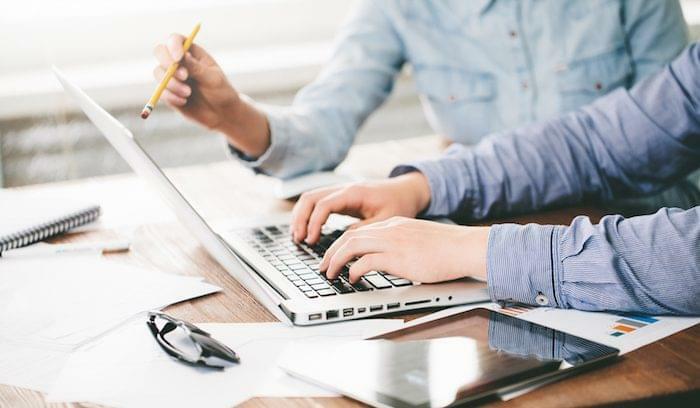 Despite being a well-rounded tool, the product is somewhat lacking in areas outside of task management, such as issue tracking and budget management. There’s no central document management and not a lot of options for integrations (compared to similar tools). 5pm users are generally happy with the software, but some users feel the tool is not evolving with user demand. 5pm’s pricing model is a monthly fee based on the numbers of users, with the option of a 14-day free trial to start. Last but certainly not least is Gemini, a project issue tracking software by Countersoft. Gemini is a project management tool with some unique features and good options for customization. You can create your own reports, use (and filter by) custom fields, and set flexible specifications for capturing important data. One of the sources of Gemini’s possibilities for customization is the “Workspace” where users can decide how they want to view relevant data, set filters and permissions, and easily share information with stakeholders. Workspaces also support a team chat for discussion of work items. Gemini is localized for over 17 languages. You can also override Gemini’s terminology to better reflect your organization. For example, you could decide to rename the “resource” terminology in Gemini as “employee.” The tool has a number of solutions (project templates) for specific work activities. There’s an excellent application framework and API for integrations, and many of its apps are available as open-source code on GitHub. Gemini is an innovative tool that performs well for Agile project management and excels specifically with issue-tracking, help desk features, ticket management, and project tracking. You can create recurring tasks, which is useful for functional teams (like a marketing team), and the UI is quite pleasing to operate. In addition to standard permissions, you can also set visibility for comments, which is a useful and fairly unique feature. Gemini has some impressive customers, such as Disney and NASA, which makes it stand out among competitors. No built-in task management or Gantt charts. Documentation of the software is lacking, which makes the learning curve and initial setup somewhat challenging. The mobile app feels incomplete and has a history of crashing. The options for customizing and controlling email notifications could also use some improvement. Gemini has an express version with monthly payments for every user, but its main enterprise packages are a one-time license fee that is priced according to team size. To compare more project management solutions and get a custom recommendation, use our product selection tool. Have questions? Call one of our Technology Advisors for a free consultation.